This herb is a unique source of flavonoids and antioxidants. It also neutralizes benzopyrene, a carcinogenic that causes lung cancer. Dill is delicious in salads with cucumber slices on any whitefish or higher fats such as salmon or trout, either fresh or smoked. Like every herb, thyme falls within the most revered and sacred one. 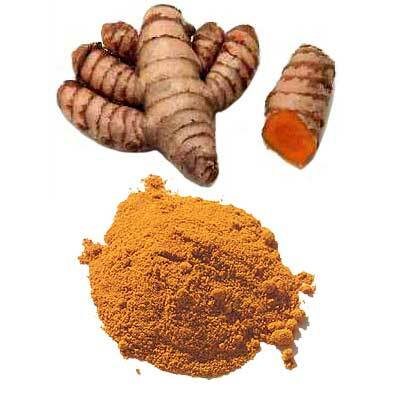 You will see that it has been widely used in ancient times to relieve the airways and diseases such as bronchitis. It also contains high amounts of antioxidants. If you add it to tomato sauce for your pasta or lasagna, it will give your dishes a magical taste. Rosemary is one of my favorite herbs and I never missing it in my kitchen. It is not hard to stand out when you cook with rosemary and even your home will be filled with a delicious aroma. Rosemary acts in the body to strengthen and improve the circulatory system and the immune system. This magical herb also repairs damaged blood vessels, prevents gene mutations that could cause cancer. For more effect, prepare a mixture of herbs in equal parts of rosemary, thyme, salt and pepper and use for roasting seasonal vegetables, white meats like chicken and turkey and fish. It is great and very simple and I promise it will make your food delicious. As you have seen so far, most herbs have almost the same wonderful qualities and turmeric is not far behind and poses a potential health benefit as it inhibits cancer and prevents the progression of Alzheimer. You should incorporate it into your diet by adding 1/4 tsp. turmeric in your water while cooking basmati rice, quinoa or pasta. It is medically proven that cinnamon has unique properties for low blood sugar in diabetics and to lower cholesterol and triglycerides. A delicious mix with sugar controls your weight and promotes weight loss. It is also rich on breakfast porridge, rice pudding, baked apples or pears, and even on your cappuccino or hot chocolate and you can also sprinkle it on your toast with raw honey. Basil has 53 different cancer-fighting components and it is delicious when used fresh, on pizza, tomatoes, pasta or you can make tea with it as well. Only now science has begun to focus and pay more attention to nature and discover the enormous medical benefits of using herbs and spices hidden for millennia in the shelves and jars of the kitchen and the garden of your home.